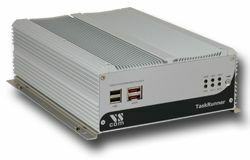 With 32nm generation Intel® Core™ i5 processor the TaskRunner 3500 (NISE 3500) fanless computer features Intel® Turbo Boost and Hyper-Threading technologies. 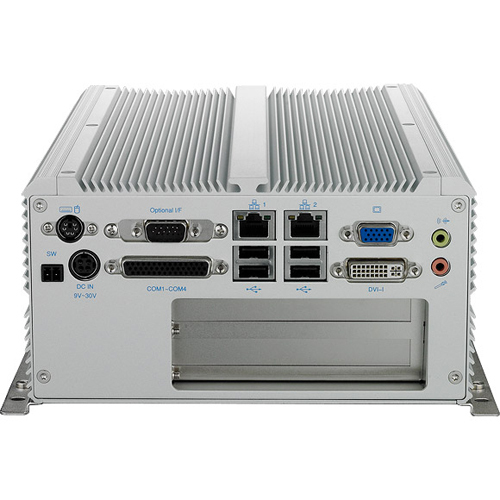 Versatile graphics, large DDR3 memory, high-speed interfaces as well as its innovative mechanical design well suit it for high performance applications, such as medical diagnostic equipment, medical imaging, data storage, industrial automation, public infotainment and surveillance security. Windows XP/7 and Linux are supported. The Intel® Core™ i5 CPU (2 cores at 2.4GHz with Turbo Boost at 2.93GHz) augmented by Intel® Hyper-Threading for 4 independent threads and combined with 4GB DDR3 memory assemble an affordable system for high demanding industrial applications. 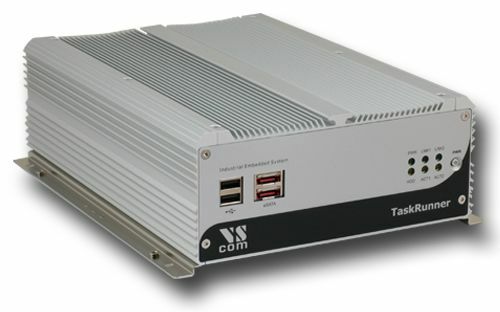 The on-processor graphic unit supports 1x VGA port plus 1x DVI-I port enabling up to 2 independent displays. On chip GPU also delivers graphics performance making it the ideal centerpiece to power hungry graphical and image processing applications. 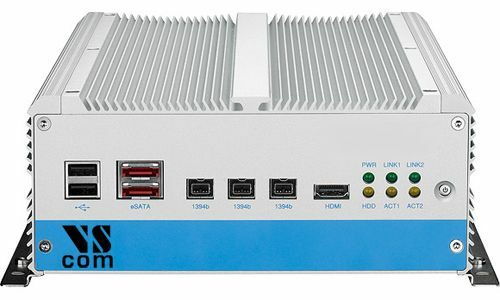 Model TaskRunner 3500M (NISE 3500M) adds one HDMI port to the visual output for up to two digital displays plus one analogous VGA at the same time. The connectivity includes 2x Intel® GbE LAN ports, 5x COM ports; the GbE LAN ports support WoL function. Fast serial interfaces like 6x USB 2.0 plus 1x or 2x PCI slots facilitate the flexible expansion of system's capabilities. 2 x eSATA ports easy connect external mass storage. 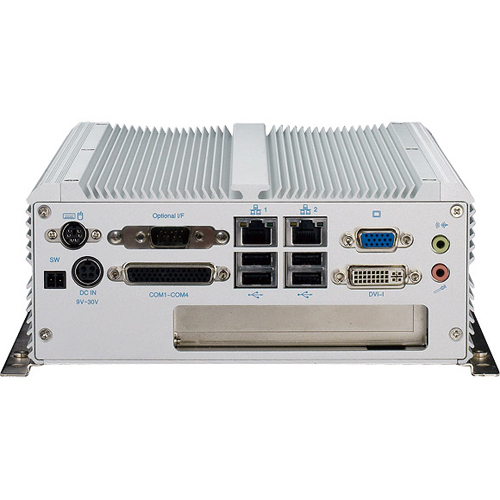 9-30V DC input power supply, wide temperature operating range and ruggedized compact aluminium housing recommend it for deploying in harsh industrial environments.